Casa di Nettuno ed Anfitrite (Ins. V) - lower floor wine shop. 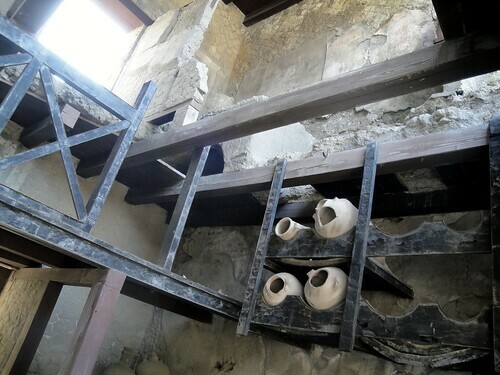 The fittings, including the amphorae and wooden shelving for their storage, are still intact.